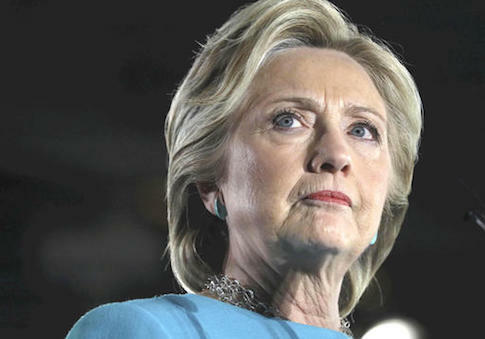 Two-time failed Democratic presidential candidate Hillary Clinton spied on her own campaign staff's emails after her first loss in 2008 to Barack Obama. Clinton had a trusted aide access the campaign's server and download all of the emails that top staffers sent and received so they could be reviewed, the New York Post reported. The revelation comes from a new book–Shattered: Inside Hillary Clinton's Doomed Campaign, by Jonathan Allen and Amie Parnes–that examines what went wrong for Clinton's 2016 presidential bid. After Clinton lost to Obama, she wanted to see how her presidential campaign failed and pointed the finger at her staff, according to the book. "She believed her campaign had failed her–not the other way around–and she wanted ‘to see who was talking to who, who was leaking to who,' said a source familiar with the operation," Allen and Parnes write. "Her political director, Guy Cecil, had talked with members of the media from his campaign account. Her chief strategist, Mark Penn, was a tyrant. And far too many of her minions had fought for turf and status rather than votes." Staffers were not aware that Clinton accessed and was reading their emails, which revealed infighting and some trying to advance their own careers rather than the campaign. The review of staff emails in 2008 came well before the controversy surrounding Clinton's use of a private email server while she was secretary of state, as well as the release of hacked emails from the accounts of top Clinton aides and Democratic National Committee employees. This entry was posted in Politics and tagged Barack Obama, Clinton Email Scandal, Hillary Clinton. Bookmark the permalink.